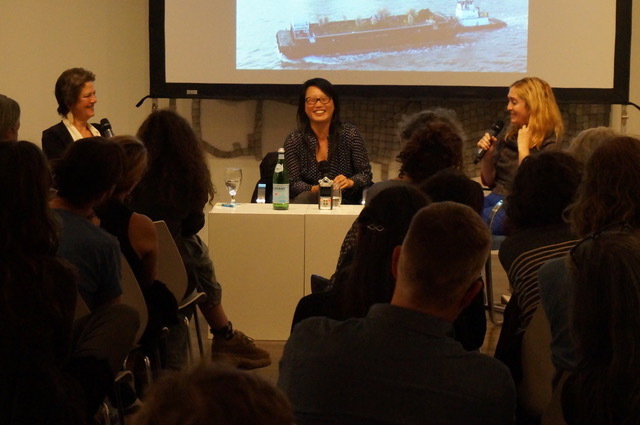 On October 17, 2018 Amy Lipton interviewed artists Mary Mattingly and Jean Shin at the Rubin Foundation’s 8th floor gallery as part of the current exhibition Sedimentations: Assemblage as Social Repair. Included in the exhibition is MierleLaderman Ukeles, NYC Sanitation Department Artist in Residence since 1976. The original plan was to interview Ukeles during the exhibition since ecoartspace has been in a conversation with Mierle to include her in our video archive. 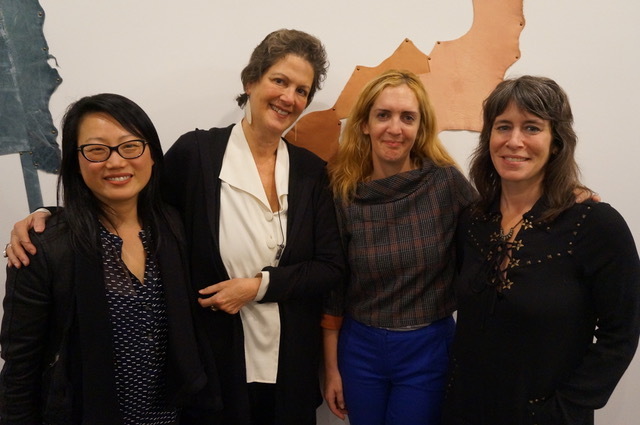 However, she was unable to attend, so Lipton decided to focus on Ukeles' work in her interview with Mary Mattingly and Jean shin instead. Together they discussed Ukeles art-as-maintenance manifesto and in particular her 1979 performance work “Touch Sanitation,” and her 1983 work “Social Mirror." Lipton also focused the discussion on the viability of such projects that require long term maintenance (site workers, ongoing care, repair, etc.). She asked Mattingly and Shin if maintenance issues also applied to their own work. The answer was a resounding yes. Both artists are based in New York City and have done substantial long-term public art projects, so the lineage from Mierle Ukeles practice is present and influential. Mary Mattingly founded a floating food forest on a barge in New York called Swale. Lipton had the opportunity to visit Mary aboard Swale before it’s completion in 2016 in Verplanck NY. Now floating on New York’s waterways, this important project is considered a community resource artwork. 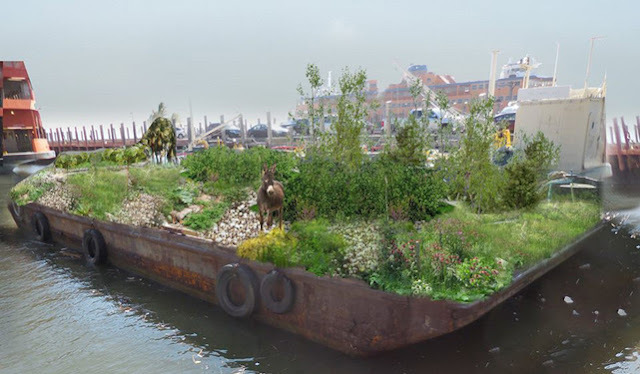 The barge is 130-by-40-foot and contains a forest garden of edible and medicinal plants, including blackberries, blueberries, strawberries, dandelions, stinging nettle, comfrey, chamomile and more. Filtered rainwater and water from New York’s rivers hydrate the plants. Visitors are welcome to come and pick items for free, and are also encouraged to bring food items of their own. It’s illegal to grow public food in public spaces in New York City, so Mattingly keenly moved her project to the water. Jean Shin makes site-specific installations that transform everyday objects into elegant expressions of identity and community engagement. Her work is distinguished by a labor-intensive process and immersive environments that reflect collective issues that we face as a society. As an accomplished artist practicing in the public realm, she also realizes large-scale, site-specific permanent installations commissioned by major public agencies on the federal level (US General Services Administration) as well as local city and arts for transit programs (New York City’s Metropolitan Transit Authority and Percent for the Art programs, etc.). Shin recently completed a landmark commission for New York City MTA’s Second Avenue Subway at the 63rd Street station. Thinking about the title Sedimentations, my thoughts are about geologic time and the larger picture regarding our eco system and its potential healing. How do you think about sedimentations? How do you see your work in regards to the exhibition title of “social repair”? Is working with community an important part of social repair for each of you? Regarding issues of re-use and waste in your artwork, -what really is waste when it comes to food, as opposed to mining and resource extraction? 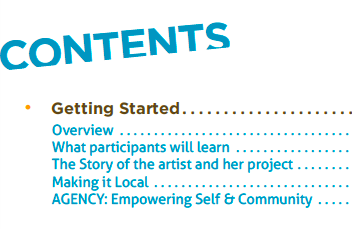 How working collaboratively with community transforms waste from commodities into art and consciousness raising?